It’s no secret that I love planks. 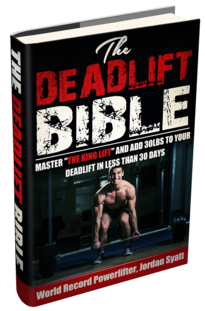 I’ve written about their extensive benefits numerous times before and, as far as I’m concerned, they’re one of the best exercises to include in nearly all strength & conditioning programs. Q: But What If Planks Aren’t Challenging Enough? Most individuals who consider planks easy aren’t performing them properly. And maybe you’re right. Maybe you have perfect form and would benefit from a more advanced variation. Totally possible and, if that’s the case, it’s something I’ll cover later. However, before you dismiss the possibility of using incorrect technique, I strongly urge you to check your form. It’s no exaggeration to say the vast majority of individuals (even personal trainers) I work with exhibit incorrect technique when they first start my coaching program. What Plank Technique Errors Should You Watch Out For? Probably the most common error of the bunch, excessive arching of the lower back is a serious no-no. 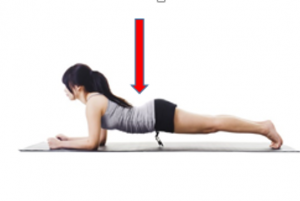 Aside from losing all the benefits of improved core stability, going into excessive lumbar hyperextension, as shown above, can exacerbate lower back pain. Another common error, excessive hip hiking is an [unconscious] compensation pattern many lifters use to make the drill easier. If you find the plank to be “too easy” I encourage you to check and make sure you aren’t hip-hiking. What Does a Good Plank Look Like? Neutral Spine: You’ll notice my spine is flat from my tuchus (yea, I said it) all the way to the base of my neck. No lumbar hyperextension or hip-hike to speak of. Serratus Anterior (SA) Activation: More difficult to see in the picture, I’m driving my elbows into the ground and pushing my torso away from the floor as hard as possible. Doing so improves SA activation which is an important component of overall shoulder health but commonly neglected in modern S & C programs. Total Body Tension: While holding the plank, it’s important to firmly brace yourself in order to maintain optimal position. While you don’t need to tense every single muscle as hard as humanly possible, try to create a sturdy base of support that won’t topple over from the slightest nudge. And what if a standard plank is still too easy? Dear, god, I hate this exercise. Not because it’s inherently bad, ineffective, or even dangerous…but because, in my opinion, it’s a tragic waste of time. See, as a coach, it’s my job to be efficient. The reality is most people don’t have the time to spend hours on end in the gym. In fact, most people barely have enough time or energy to spend 60-minutes in the gym several days per week. And when you have an exercise (such as the weighted plank) that’s hardly more difficult even under significant external load, it’s time to call a spade a spade and find a better, more challenging, drill. To give you some ideas, below I’ve provided several videos detailing my favorite advanced plank progressions. All simple, body weight plank variations, this progression works for beginners all the way to advanced trainees. The reaction-based plank is exceptionally difficult and a hell of a lot of fun. If you train with a partner and are looking for an advanced plank variation, I highly encourage you to give this a shot. 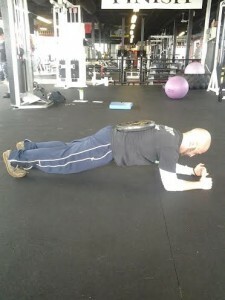 Another fantastic variation, the push-up plank is far more challenging than it looks and one of my all-time favorite drills for trainees of all disciplines. 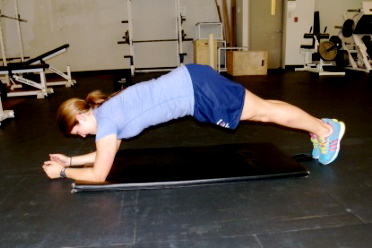 Weighted planks aren’t inherently bad. In fact, in some [rare] instances they might even be warranted. For example, a weighted long lever plank is a fantastic drill that I use with a number of my advanced trainees. However, in my opinion, it’s most important to master all body weight plank variations (ab roll outs, long levers, etc) prior to considering the weighted plank as an option. What if you aren’t sure how to progress a plank? Remember: simply increasing the lever arm and/or adding an anti-rotation component is the simplest and most efficient method to advance a plank variation.